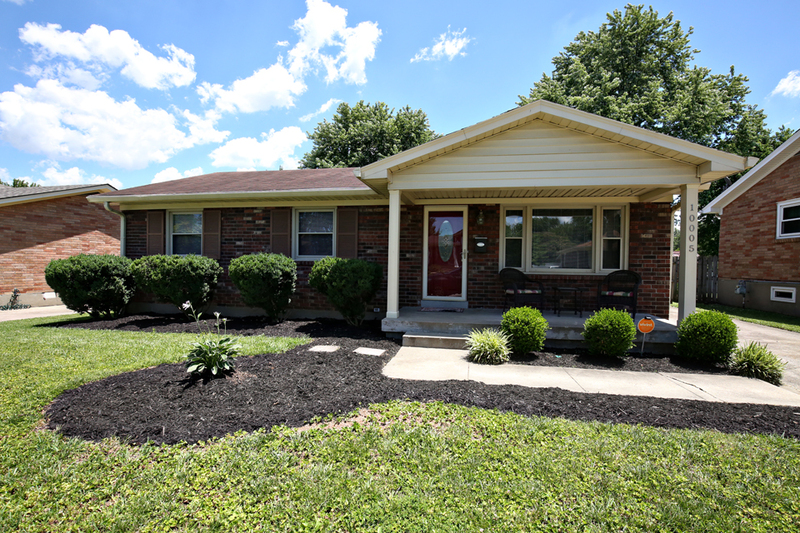 3315 Cornelia Dr Louisville KY 40220 is a lovely 3 Bedroom, 2 Full Bath Ranch located in the Chester Villa subdivision! 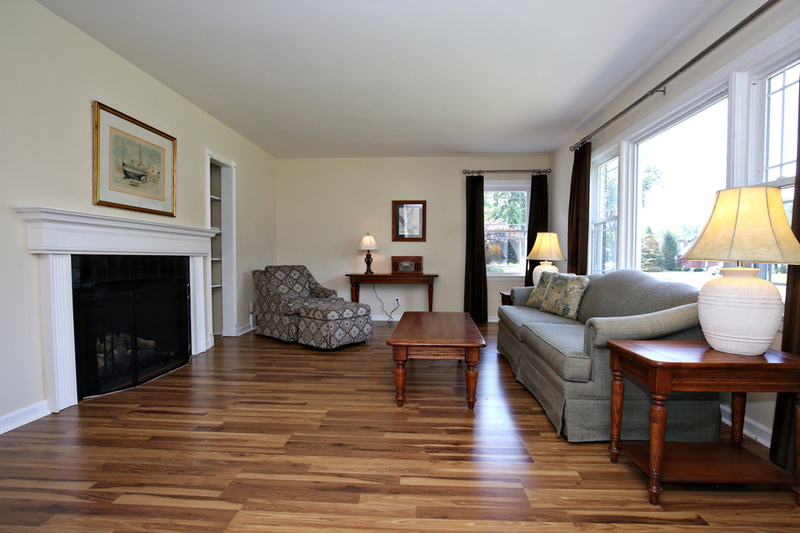 Engineered hardwood flooring, a picture window, and a remote-controlled gas fireplace highlight the Living Room. 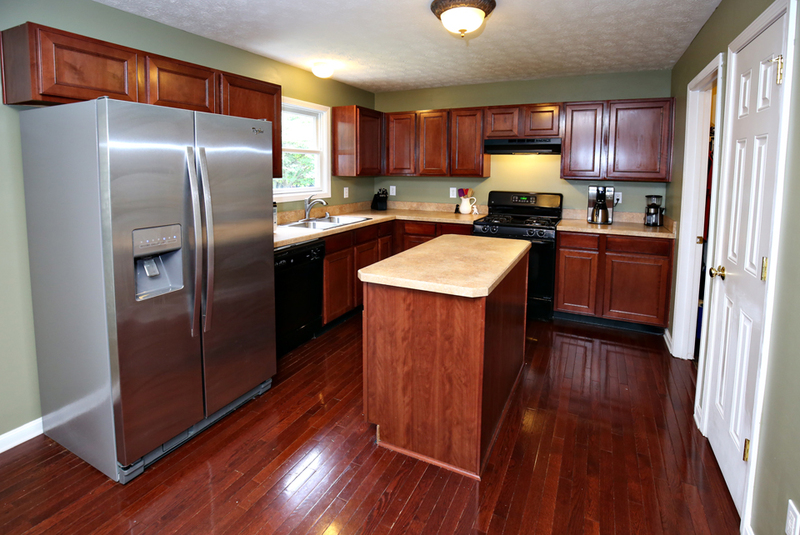 The Kitchen features canister lights, and both the Kitchen and Dining Room have engineered hardwood floors. Three large Bedrooms with ceiling fans and a Full Bath are on the main level. 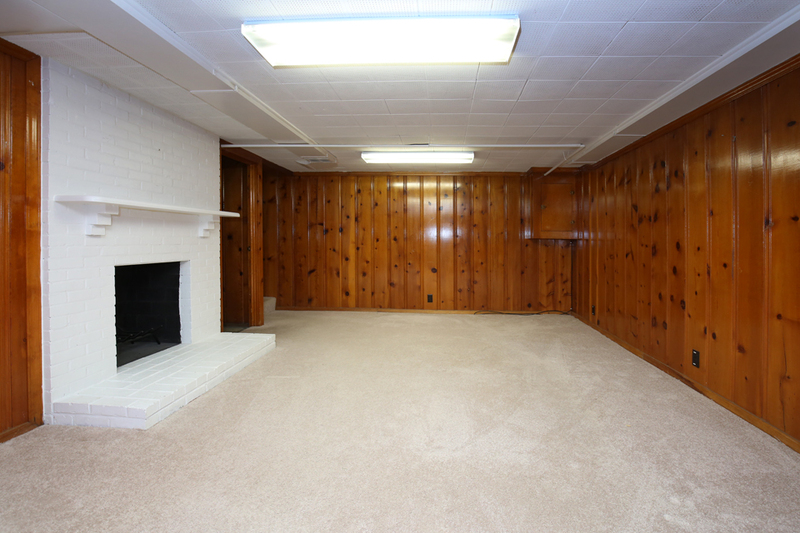 The home has a large Basement Family Room with a fireplace. The Basement also features a Full Bath, a finished Room previously used as a bedroom, and an unfinished area with Laundry and storage. The back of the home has a grassy yard with a full wood privacy fence, covered back deck, and a storage shed. The home also includes a 1 car attached garage. 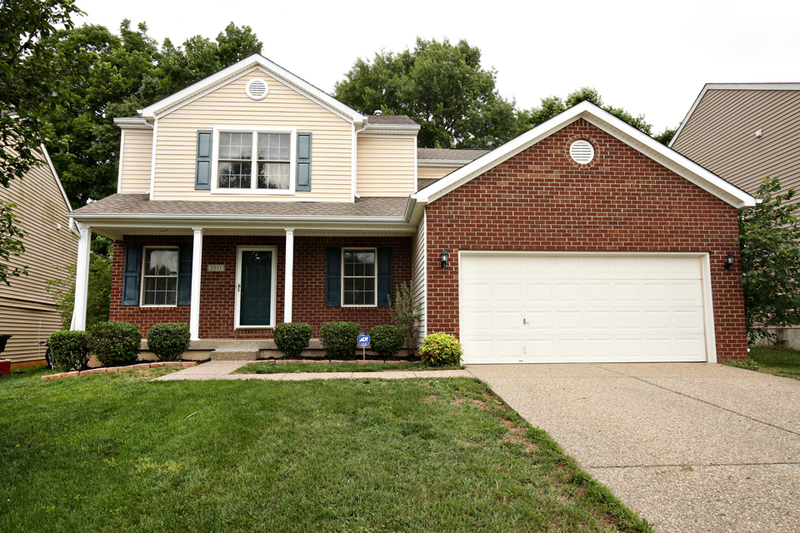 3315 Cornelia Dr Louisville KY 40220 is in a great location convenient to parks, shopping, and dining! Updates to the home includes the furnace, windows, doors, garage door, sump pump, roof, insulated attic, and electrical panel. The home has 50 gallon hot water heater, automatic lights in the front and rear of the home, and an ADT security system. Kitchen Appliances and the Storage Shed remain with the home. Call 502-371-1173 to schedule a private showing of this home in Louisville! 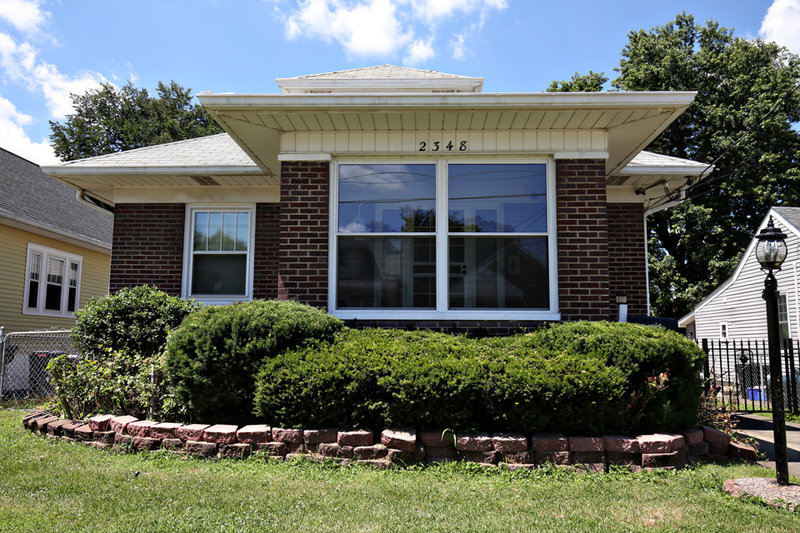 2348 Dorma Ave Louisville KY 40217 is a 3 Bedroom, 2 Full Bath brick home off Eastern Parkway that is a wonderful opportunity! The finished attic space provides potential for a 4th Bedroom. The home features enclosed Front and Rear porches that add character and are great spots for relaxing with morning coffee. Underneath the carpeted areas is hardwood flooring. The home opens to a good sized Living Room. A Formal Dining Room connects to the Kitchen. 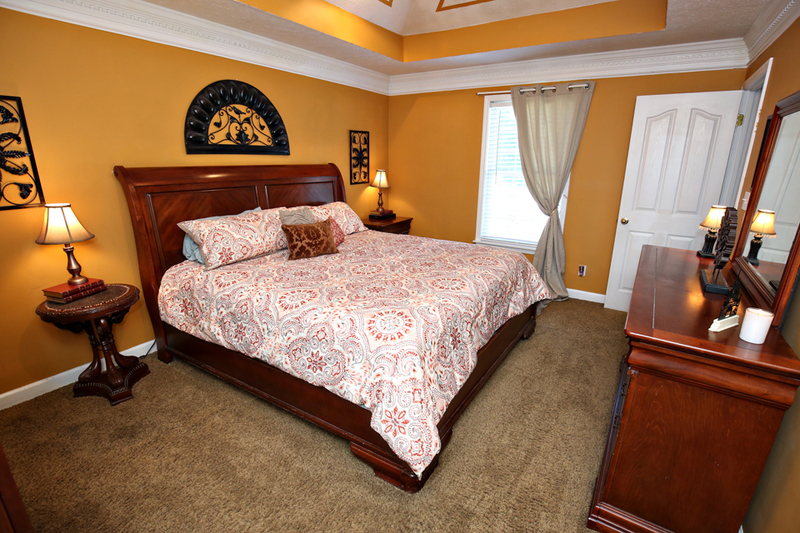 There are three first floor Bedrooms that are convenient to the Full Bath. The attic features a Finished Room that was previously used as an additional Bedroom and includes its own air conditioner. The Unfinished Basement of 2348 Dorma Ave Louisville KY 40217 has access to the exterior of the home and includes tons of storage space, a Laundry Area, and another Full Bath. 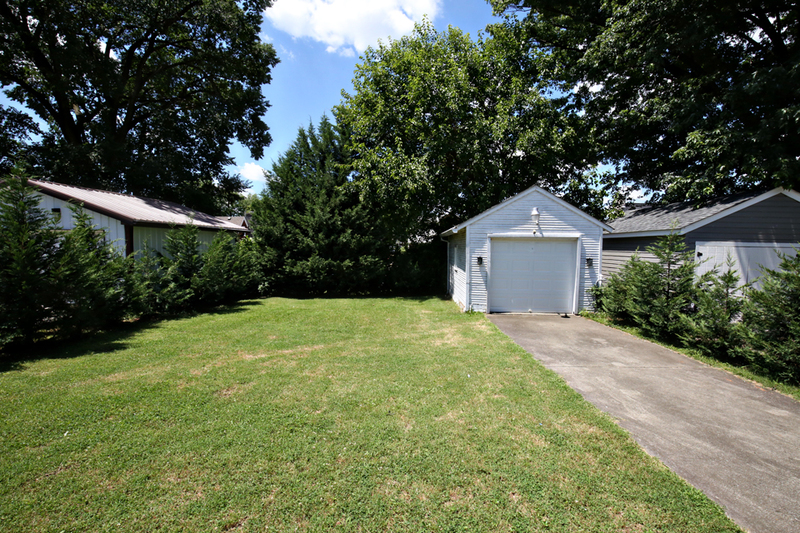 The back of the home features a grassy fully fenced yard and 1 car detached garage. For more information about this or other homes in Louisville, call 502-371-1173! 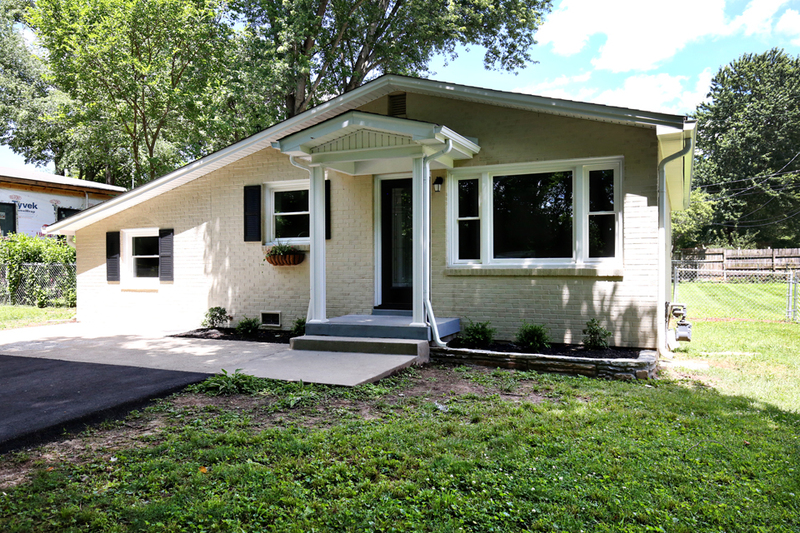 1017 Sylvia St Louisville KY 40217 is a beautifully updated 3 Bedroom, 2 Full Bath in Schnitzelburg! The home is in an amazing location and has great curb appeal with a wonderful Front Porch entry! The home opens to the Great Room with crown molding and hardwood flooring, which is currently used as a dining area. 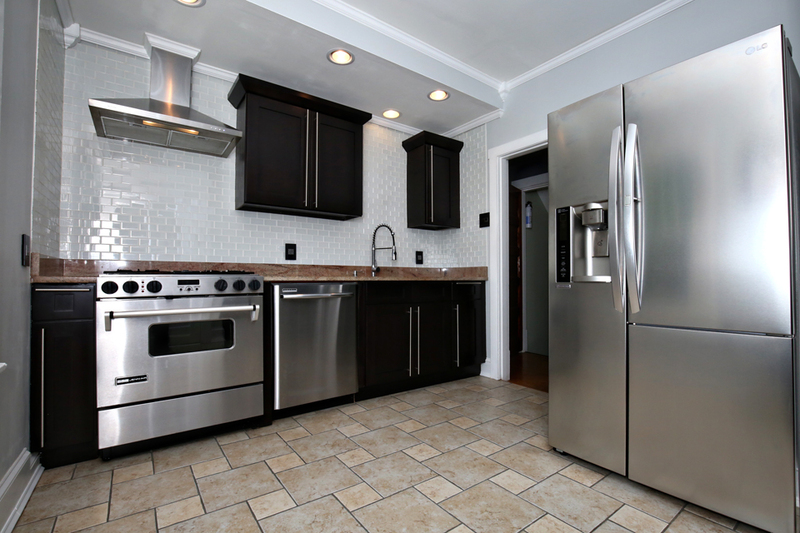 The gorgeous Kitchen features stainless appliances, tile flooring, recessed lighting, and tile back splash. The large Formal Dining Room showcases hardwood flooring and crown molding and is currently used as a living room. The second level of the home has Master Bedroom with hardwood flooring and two more Bedrooms. Crown molding is featured in all three Bedrooms. An updated Full Bath with wainscoting and a tiled shower completes the second level. 1017 Sylvia St Louisville KY 40217 has a partially finished walk out basement that offers a large Family Room with tiled floor, recessed lighting, and built in bar. The basement of the home also contains the Laundry Room and another Full Bath. The back of the home has a relaxing deck with accent lighting, a grassy fenced in yard, stone fire pit, and 1 car detached garage. Call 502-371-1173 for your private showing of this home in Louisville! Join our team this Sunday at any of our four Open Houses in Louisville! We would love to show you around! For more information about these open houses, call 502-371-1173 or visit with us this weekend! Directions: Preston Hwy to S. Shelby St, R on Street, House on Left. Directions: Bardstown Rd to Waterford Rd to Street. Directions: Goldsmith Ln to Meadow Dr to Street. Directions: Shelbyville Rd to Dorsey Lane to Street. 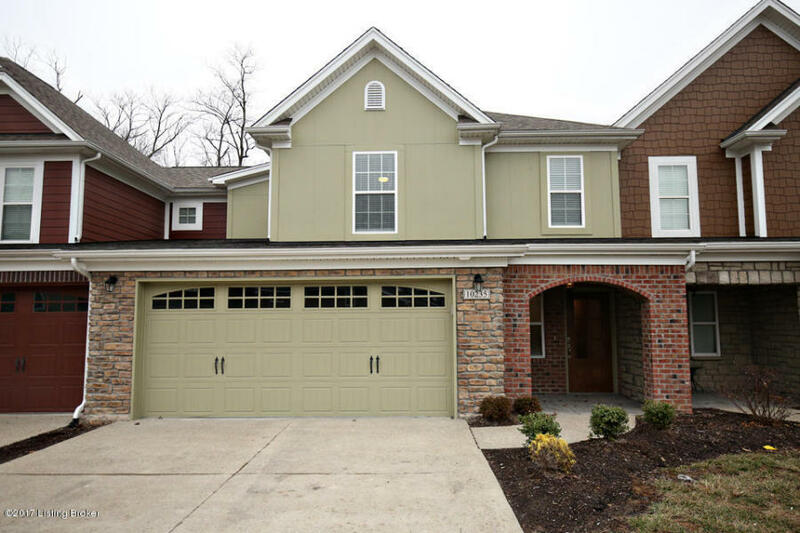 The At Home In Louisville Real Estate team will be holding several Open Houses this Sunday! We would love to give you a personal tour of these homes! Call 502-371-1173 for more information about these and other Open Houses in Louisville! Directions: LaGrange Rd to Lakeland Rd to Garr Ave and then immediate R onto Lakeland Rd. Directions: 265 South on Blue Lick Rd to Left on Kurtz Ave to Right on Caven Ave to Left on Sarate Ln to Right on Street. 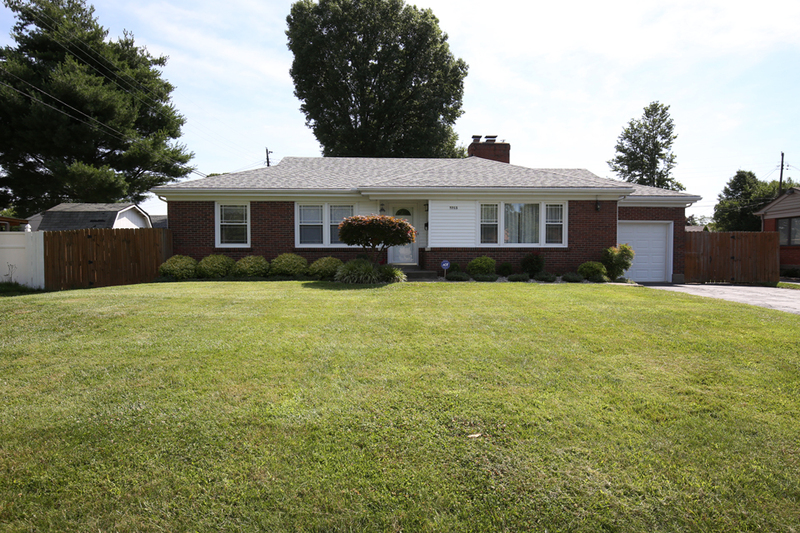 10005 Longboat Ct Louisville KY 40229 is a wonderful 4 Bedroom, 2 Full Bath Ranch. Located on a cul-de-sac lot, the home includes a 2 ½ car detached garage and an above ground pool! 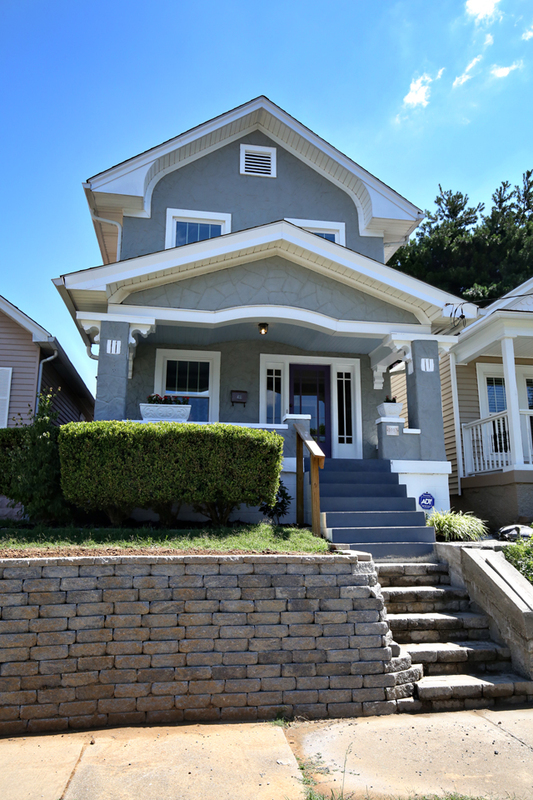 The front of the home showcases a nicely landscaped exterior and a welcoming Front Porch. The Living Room features neutral walls, hardwood flooring, and a picture window. The home has a lovely Eat in Kitchen with plenty of cabinet space, stainless appliances, and recessed lighting and a Family Room with recessed lighting and access to side of home. 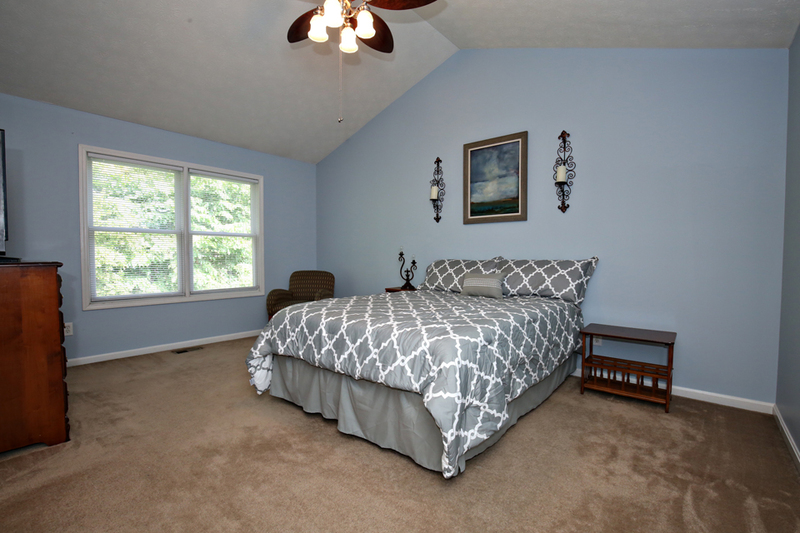 The large Master Bedroom of 10005 Longboat Ct Louisville KY 40229 has crown molding and access to back deck. 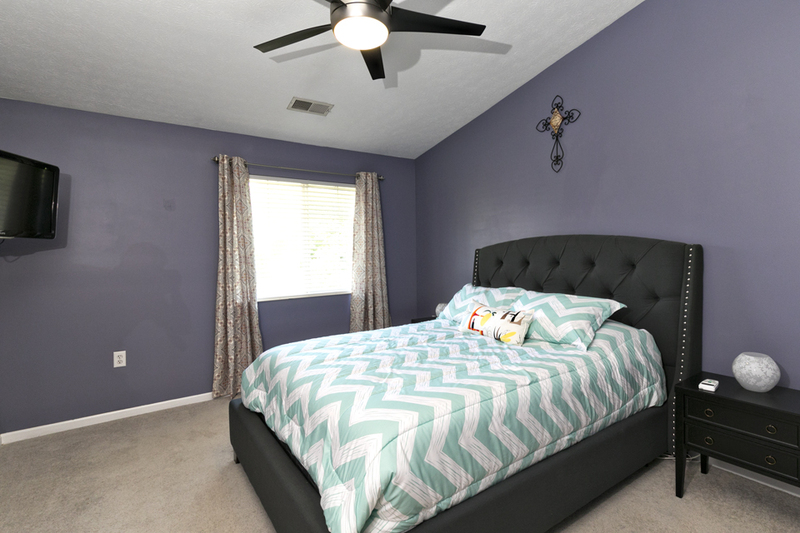 The home features three more good sized Bedrooms with ceiling fans and two Full Baths (one remodeled with new flooring, shower, fixtures, vanity, and mirror). Laundry completes floor plan. 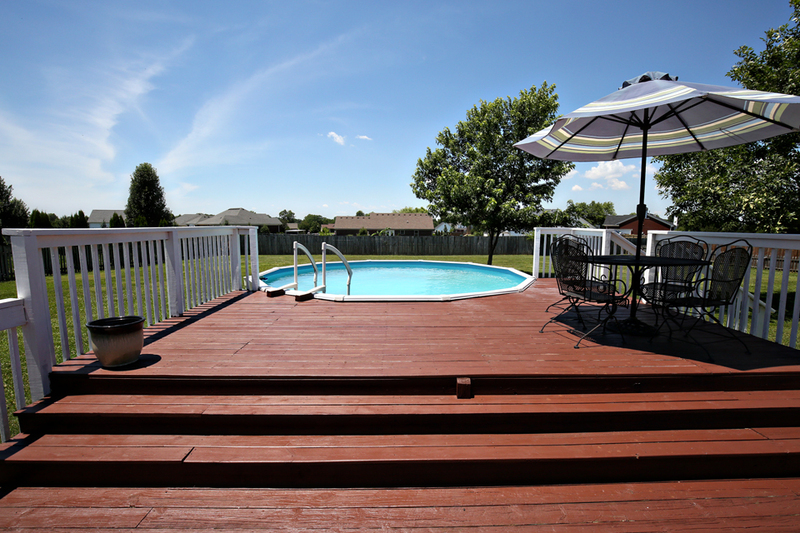 The wonderful back yard of this home has a full wood fence, deck, pool, and garage. Call 502-371-1173 today for your private showing of this home in Louisville! 822 Equinox Blvd Mt Washington KY 40047 is a beautiful 3 Bedroom, 3 Full Bath Ranch featuring a 2 ½ car garage and above ground pool in Mt Washington! 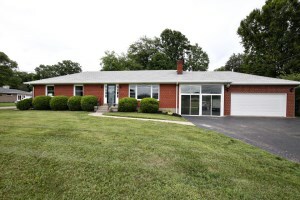 The home is in a fantastic location, just minutes away from Broad Run Park and Bullitt East High School. The welcoming Front porch opens to a Living Room showcasing a decorative vaulted ceiling, hardwood flooring, and a fireplace. Crisp white cabinetry, recessed lighting, a double sink, and a dining area with access to the back deck highlight the large Eat in Kitchen. 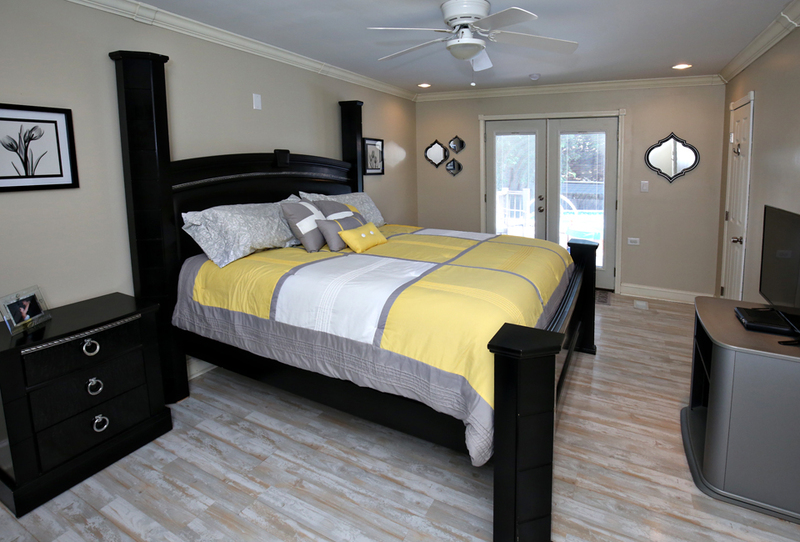 The Master Bedroom features a vaulted tray ceiling, walk in closet, and Master Bath with a Jacuzzi tub, double vanity, and shower. 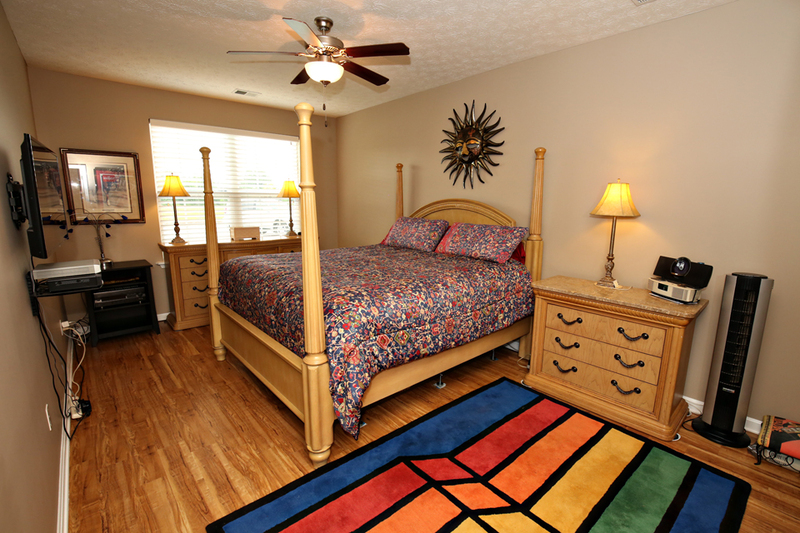 To complete the main floor, there are two more good sized Bedrooms, a Full Bath, and Laundry. 822 Equinox Blvd Mt Washington KY 40047 includes a Finished Basement that has a spacious Family Room with crown molding, recessed lighting, and a built in book shelf. 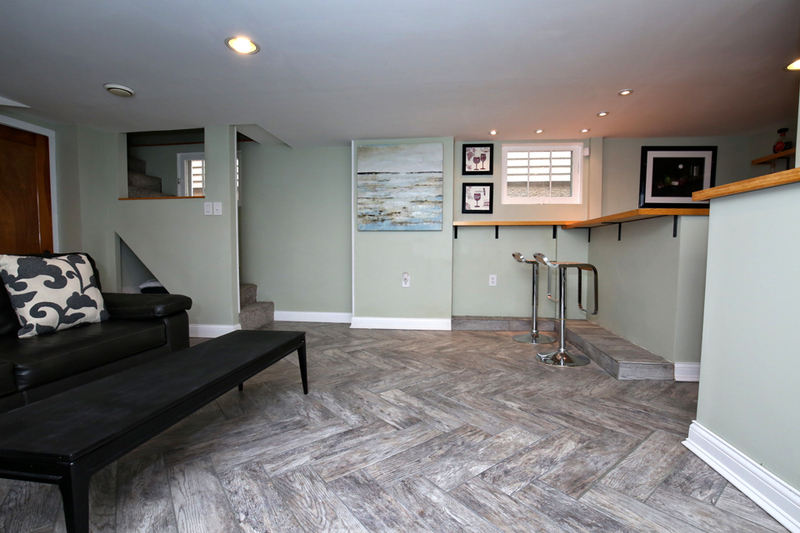 Three more basement rooms, one with crown molding and a bar area, and a Basement Full Bath complete the Basement. The home has an amazing back yard with a wood fence, pool, and relaxing deck. Call 502-371-1173 for more information about this wonderful home in Mt Washington! 10203 Lark Meadow Dr Louisville KY 40291 is an immaculate 3 Bedroom, 2 Full Bath move in ready 1st Floor condo in the Overlook at Glenmary Village! The condo includes a 4 Car tandem style rear entry garage and has private surroundings with lovely views! 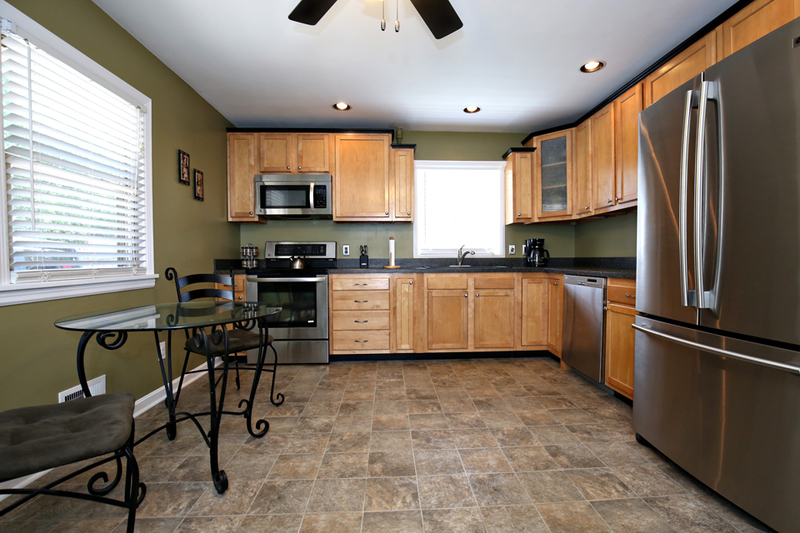 Updates include newer flooring and fresh paint throughout! The Living Room features neutral walls, access to the lovely Front Patio, and plenty of natural light. 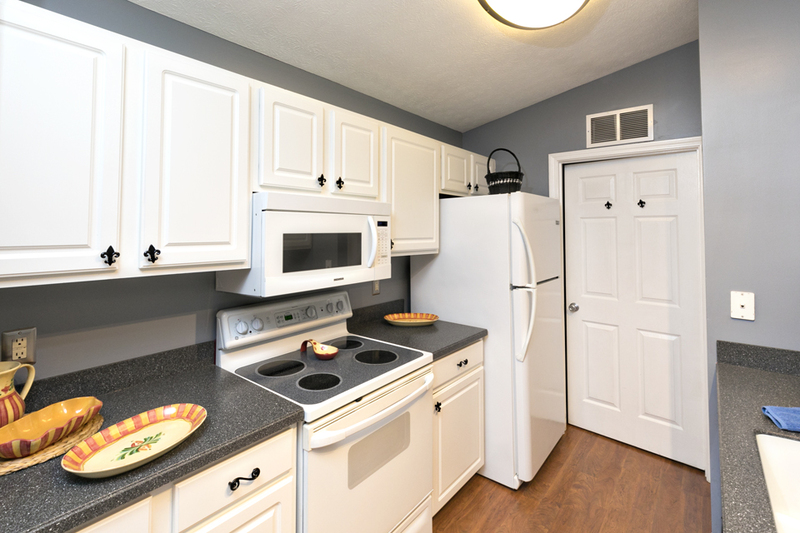 A comfortable Dining Area is situated next to the Kitchen with stainless appliances, plentiful cabinetry, and double sink. The Master Bedroom of 10203 Lark Meadow Dr #101 Louisville KY 40291 includes a Master Bath with a double vanity, soaking tub, and shower. To complete the floor plan, there are 2 more Bedrooms, a Full Bath, and a Laundry Room. The condo is in a great neighborhood with a fitness room and a pool! Call 502-371-1173 for your private showing of this home in Louisville! 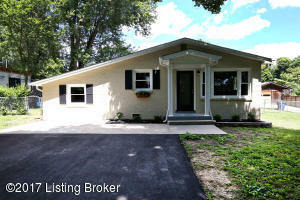 2009 Lakeland Rd Louisville KY 40223 is a 2 Bedroom completely remodeled Ranch! 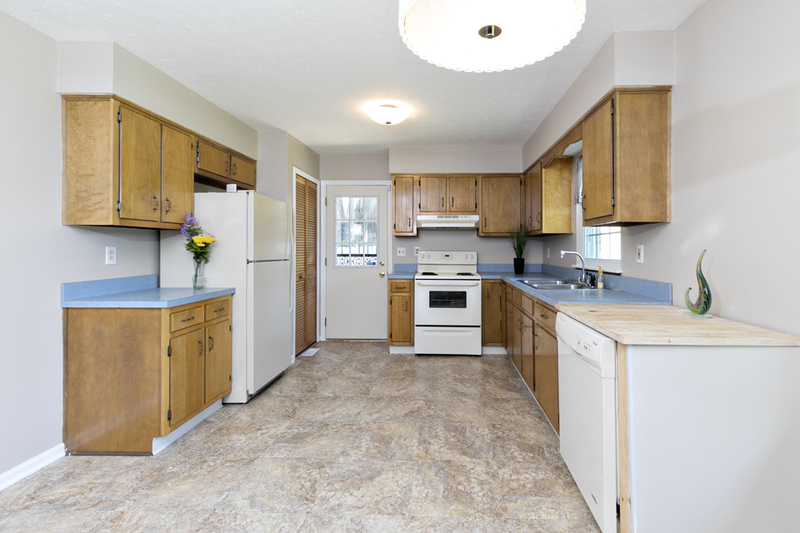 This home is in an amazing location, found between Tom Sawyer State Park and Anchorage Park! New Plumbing, Electrical Wiring, Doors, Windows, Ceiling Fans, Flooring, Water Heater, Appliances, and Roof are some of the incredible updates! The home opens to the Living Room that features hardwood flooring, crown molding, a ceiling fan, and a picture window. 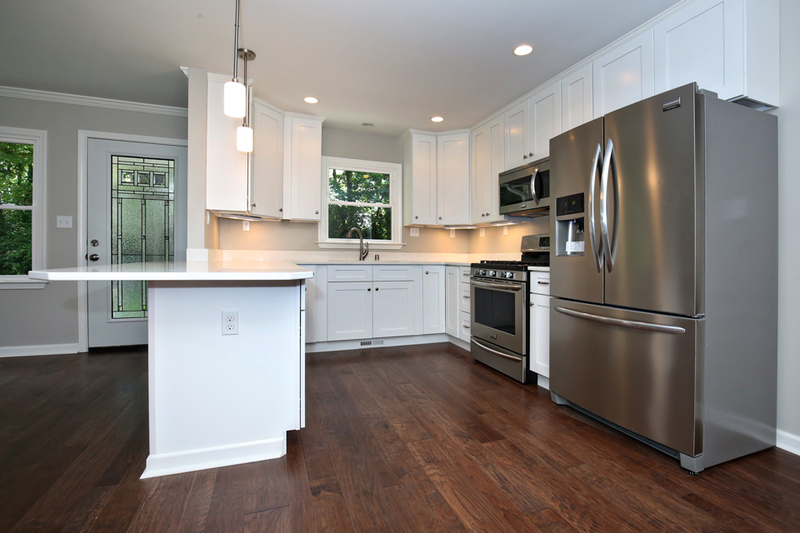 The Eat In Kitchen showcases pendant and recessed lighting, crisp white cabinetry with self closing doors and drawers, stainless appliances, and a breakfast bar. 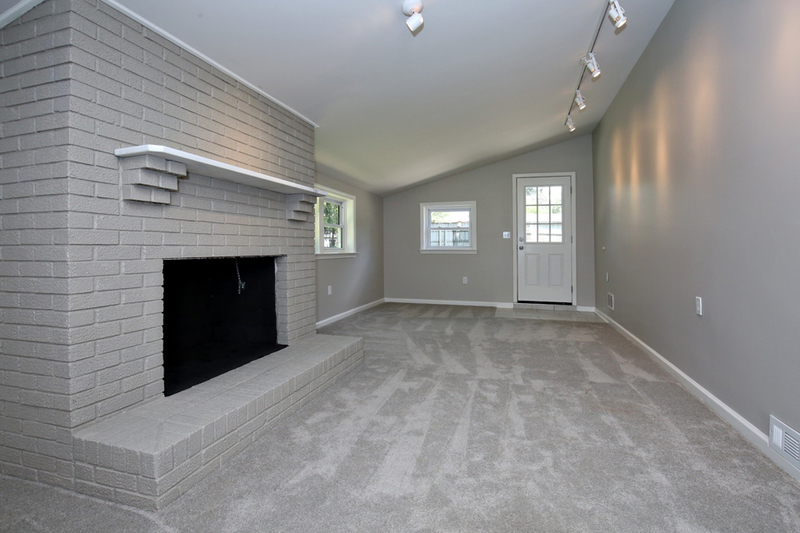 The Family Room of 2009 Lakeland Rd Louisville KY 40223 includes a brick fireplace with an elevated hearth and connects to a good sized Office. The Full Bath in the home has a beautifully tiled shower and floor. There are 2 pleasant Bedrooms with hardwood floors and neutral walls and Laundry to complete the floor plan. The home has a fully fenced level lot featuring a relaxing back patio. 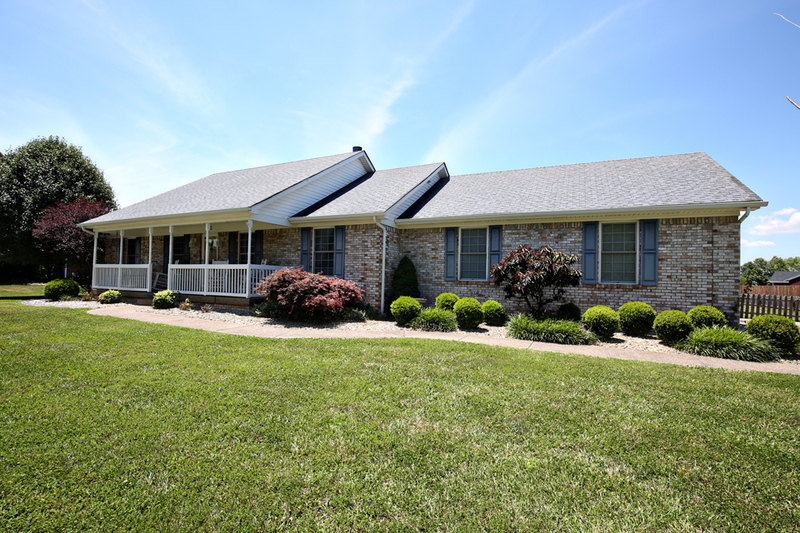 For more information about this home or other homes for sale in Louisville, call 502-371-1173! Join our team this Sunday at this gorgeous home. We would love to give you a personal tour! Call 502-554-9381 for more information about this fantastic Open House in Louisville, KY! Directions: LaGrange Rd. to Lakeland Rd. to Garr Ave. and then immediate Right onto Lakeland Rd. You could also stop by and see this lovely Condo. We would love to give you a personal tour! 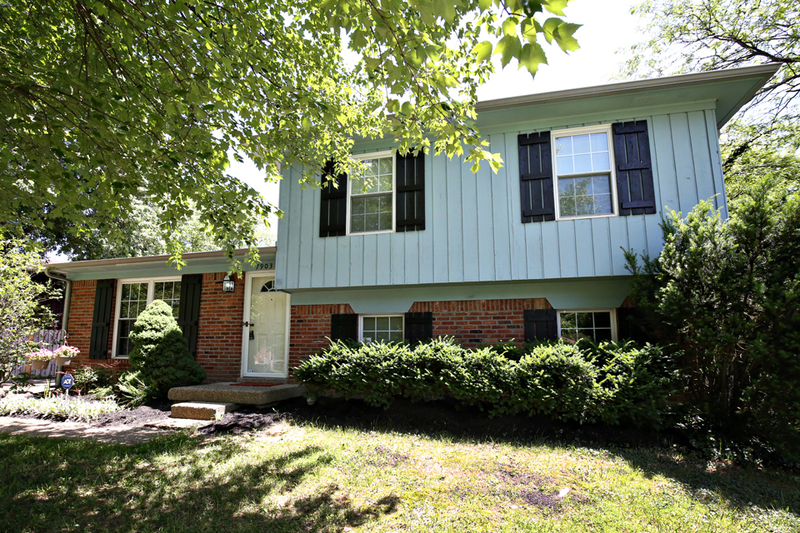 5011 Roaming Plains Ct Louisville KY 40229 is a wonderful 4 Bedroom, 2 ½ Bath home located on a cul-de-sac lot in the Indian Falls subdivision! 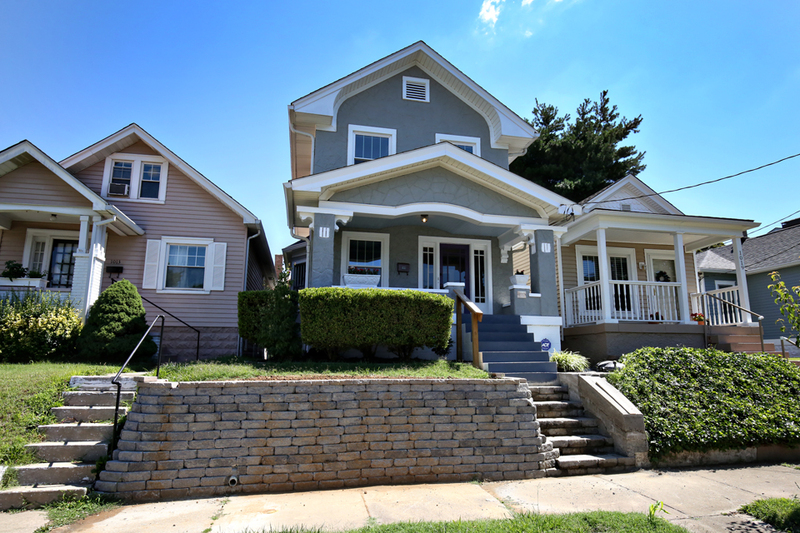 This home has been meticulously maintained and has fresh paint throughout! Following the eye catching front porch, the home opens to a welcoming entry Foyer. 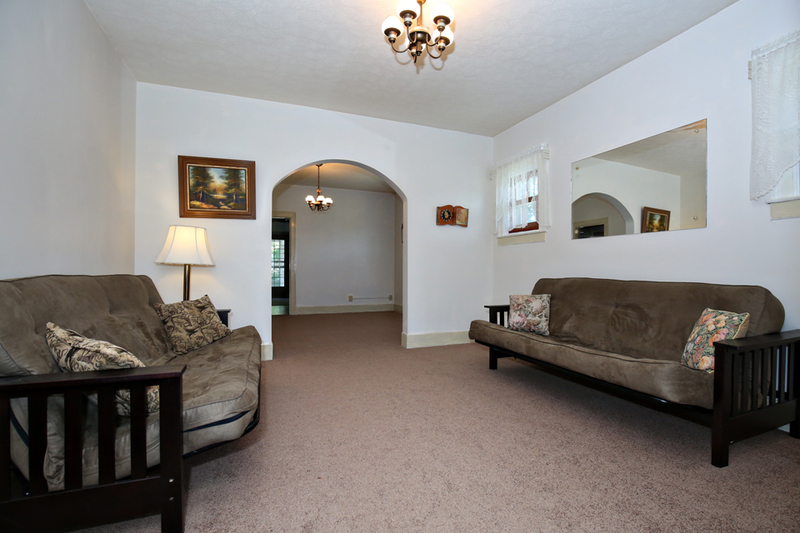 The Foyer opens to a Formal Dining Room that is currently being used as a living room. A Large Great Room featuring a newer ceiling fan and a gas fireplace opens to the Eat In Kitchen with hardwood flooring, abundant cabinetry, and access to the back of the home. A Half Bath and the Laundry Room complete the first floor of the home. The Master Bedroom of 5011 Roaming Plains Ct Louisville KY 40229 showcases a vaulted ceiling, walk in closet, and a Master Bath with a double vanity, soaking tub, and walk in shower. The second level is completed by three more Bedrooms with newer ceiling fans and a Full Bath. The home features an Unfinished Basement that provides great storage space or room for future completion and an attached 2 car garage. It is located in a wonderful neighborhood with a pool! Call 502-371-1173 today for your private showing of this home in Louisville! 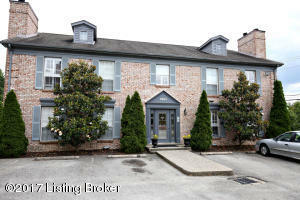 5309 Rolling Rock Ct #301 Louisville KY 40241 is an FHA Approved Condo complete with 2 Bedrooms and 2 Full Baths! 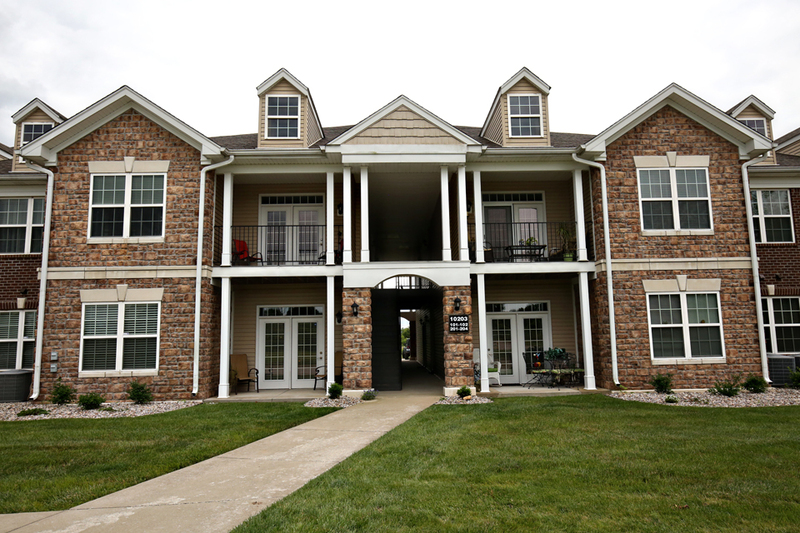 The condo has a Split Floor Plan and is located in the desirable Worthington Glen subdivision! 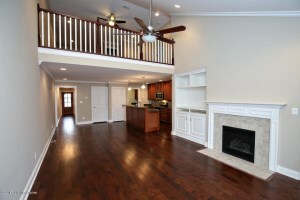 The condo opens to a spacious Great Room featuring a cozy fireplace and balcony access. The Kitchen features crisp white cabinetry and connects to a comfortable Dining Area. A vanity area, Master Bath, and walk in closet highlight the lovely Master Bedroom. The condo additionally features a good sized second Bedroom, a Full Bath, and a private Laundry Room to complete the floor plan of this unit. 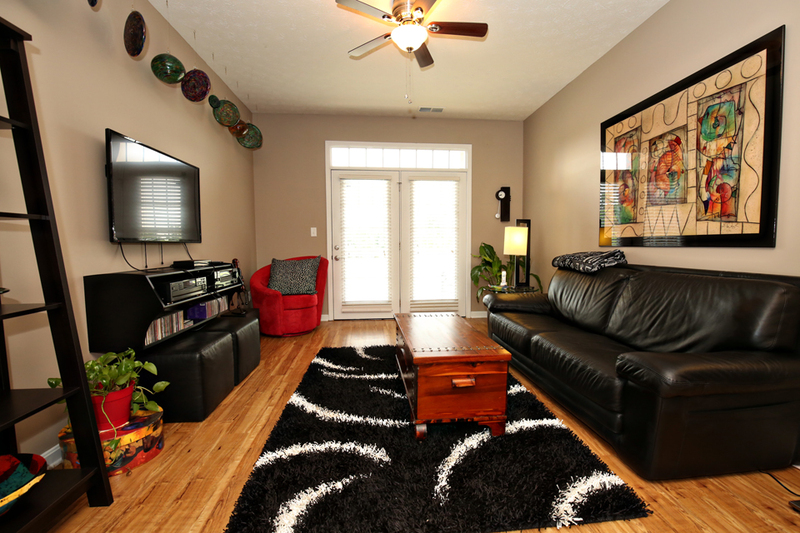 The balcony of 5309 Rolling Rock Ct #301 Louisville KY 40241 is a peaceful spot to relax with morning coffee. The condo comes with two assigned parking spots (#259 & #261) and separate storage area. 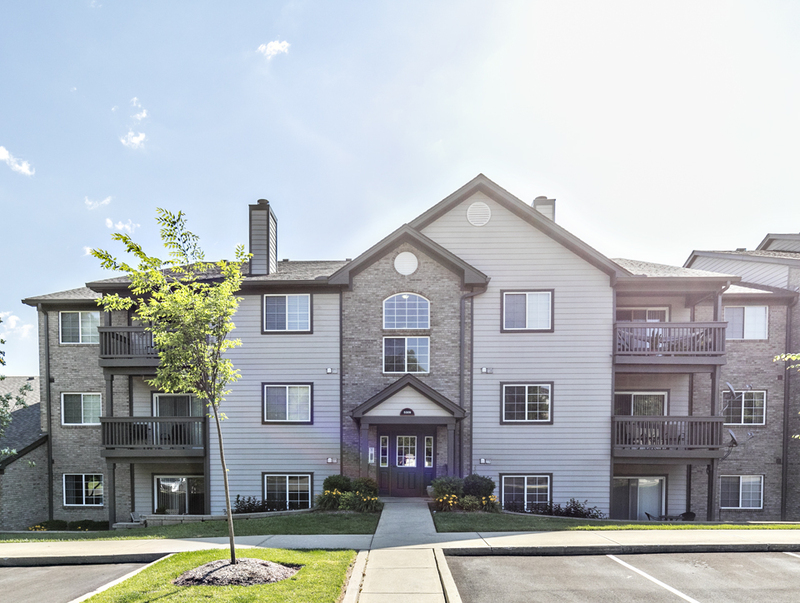 Amenities for this neighborhood include a clubhouse, pool, tennis court, and fitness room! Call 502-371-1173 today to set up a showing or for more information about homes for sale in Louisville, KY! Join our team this Sunday at this gorgeous townhome in Dorsey Pointe! We would love to give you a personal tour! Call 502-554-9381 for more information about this fantastic Open House in Louisville, KY! 7903 Gainborough Ct Louisville KY 40291 is a 3 Bed, 2 Full Bath home with plenty of space that is move in ready! The home is located on a quiet cul-de sac lot and found just off of Johnson School Rd. Fresh paint throughout and new flooring in bathrooms and kitchen are some great updates to this home! The Living Room features a picture window that allows for ample natural lighting. There is plenty of cabinet space in the Eat in Kitchen as well as a double sink. The kitchen leads to a Family Room on the lower level that features a wood beamed ceiling, brick fireplace, and back patio access. The lower level also includes a Bedroom, a Full Bath, and Laundry. Two more Bedrooms and an additional Full Bath are found on the upper level of the home. 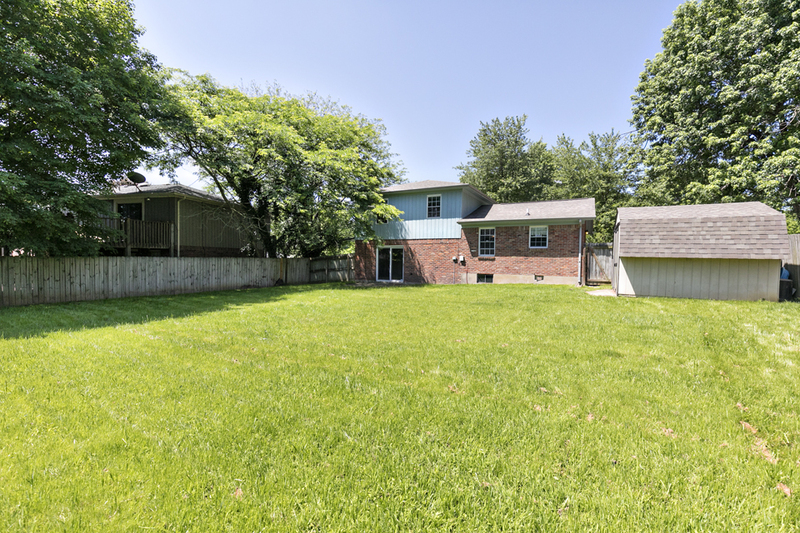 7903 Gainsborough Ct Louisville KY 40291 also features a fantastic back yard that has a full wood privacy fence, storage shed, and relaxing patio! This is a very well maintained home that includes an ADT security sytem. Call 502-371-1173 today for your private showing of this wonderful home in Louisville!